Changing from child to young adult is difficult everywhere. But to experience childhood in continuous flight from conflict, then move into adolescence as a refugee in a radically different culture, is a more than usually complicated transition for teens and for their parents, communities, teachers, and social workers. Improvised Adolescence explores how teenagers from southern Somalia, who spent much of their childhood in East African refugee camps, are adapting to resettlement in the American Midwest. The collapse of the Somali state in 1991, and subsequent chaos in the Horn of Africa, disrupted the lives of these young people educationally, culturally, and developmentally. Folklorist Sandra Grady has intermittently observed the lifeworld of these teens—their homes, their entertainment choices, their interaction with classmates and teachers at school, and their plans for the future—for more than seven years to understand the cultural tools they’ve used in their journey from this disrupted childhood. 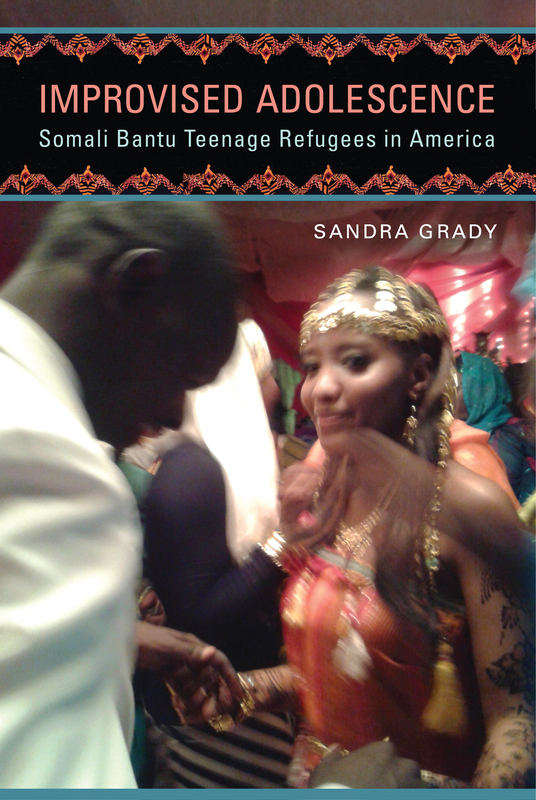 They negotiate two sets of cultural expectations: in the resettled Somali Bantu community, traditional rites of passage continue to mark the change from child to adult; in the surrounding U.S. culture, an unfamiliar in-between category—“adolescent”—delays adulthood. Offering analysis that is both engaging and theoretically grounded, Grady tracks the emergence in this immigrant community of an improvised adolescence. Sandra Grady earned her PhD in folklore at the University of Pennsylvania and worked in Kenya in the early 1990s. She is an applied linguist in the U.S. Department of Justice.